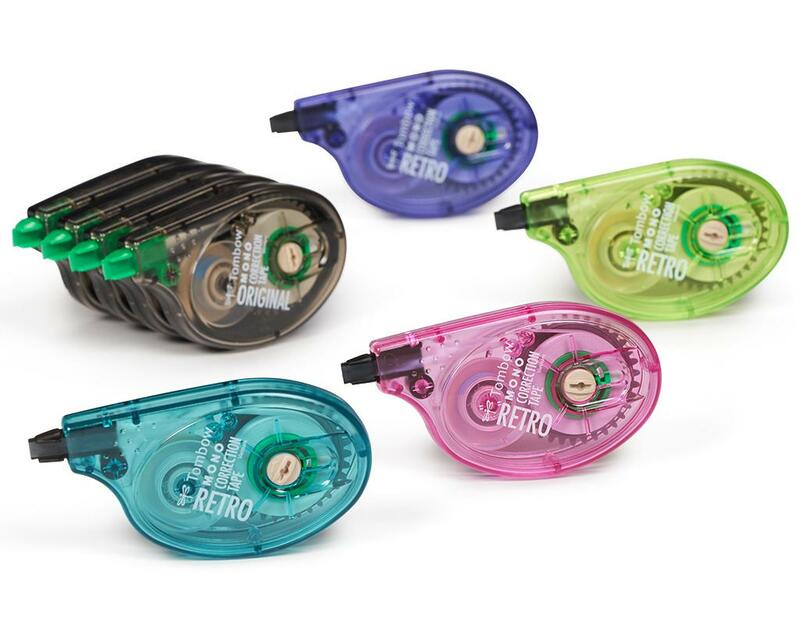 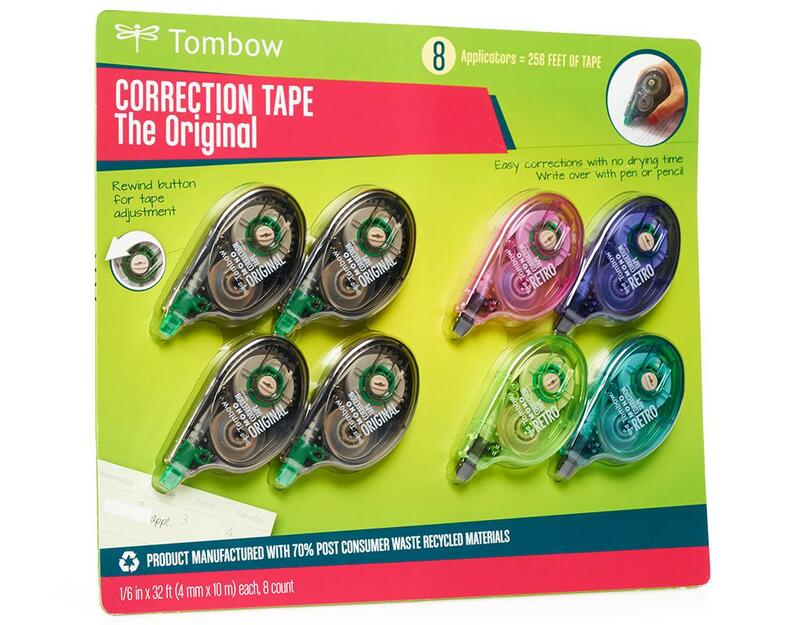 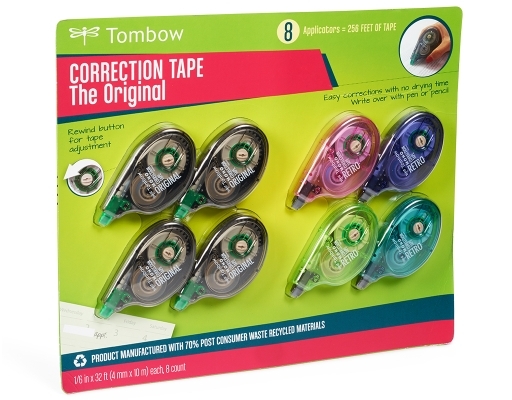 The original correction tape features premium tape for a smooth consistent application. 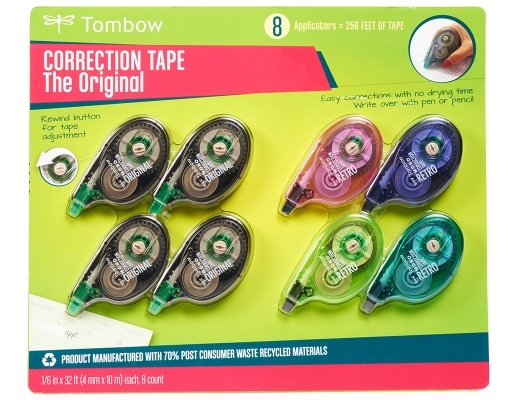 Easy to write over with all types of writing instruments, including pencils and markers. 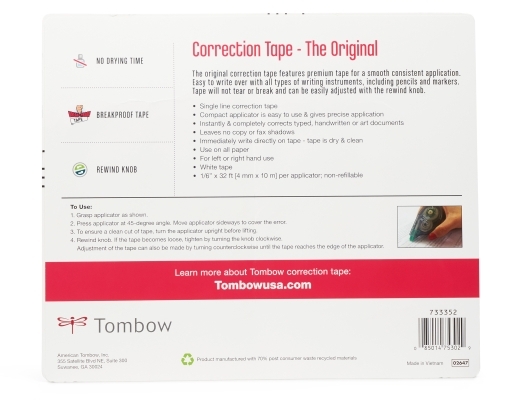 Tape will not tear or break and can be easily adjusted with the rewind knob. No drying time needed.